MORGANTOWN, W.V. 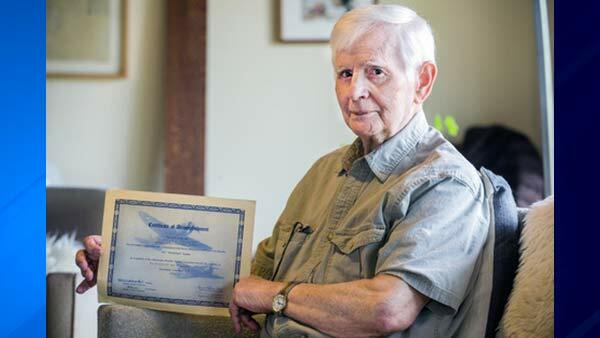 (WLS) -- More than 75 years after he enrolled in his first class, a 94-year-old man is set to graduate from college next week. Anthony Brutto enrolled at West Virginia University in 1939 to study engineering, physical education and industrial arts, according to a university press release. At the time, tuition was just $50 a year. He was close to graduating when he was drafted in 1942. He served in the Army Air Corps until the end of World War II, three and a half years later. Determined to get his degree, the Morgantown native returned to WVU in 1946. But before he could graduate, he dropped out in order to care for his sick wife, the school said. Brutto spent much of his working life as a machinist at different factories until retiring in the mid-1980s, WVU said. WVU says Brutto will graduate with his Bachelor of Arts degree on May 17, making make him one of the oldest graduates in the school's history.